How much does the berths in Croatian marinas cost? As it starts in April and finishes in October, the sailing season in Croatia is not only limited to summer months, and that is so mostly due to its extraordinary favourable weather conditions. We’ve made a research on experiences sailors/ sailing lovers had in Croatia. But, we’ve also followed some discussions on social media where people felt so outgoing that they freely commented on each sailing topic. The final analysis of different reviews led us to a conclusion that people consider marinas in Croatia are to expensive. In this blog, we will clarify you if the prices are really to high and what content marinas offer for that price! 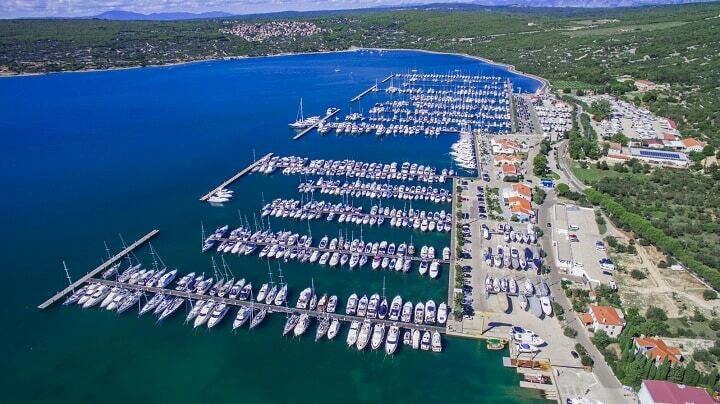 Croatia has about 60 marinas with the capacity of over 16000 sea berths. Marinas are constantly trying to improve their services and to adapt to modern human needs. Today in marinas, except power and water for your boat, there are restaurants, cafes, ambulance and in some parts luxurious hotel accommodation. But, except wide offer, marinas in Croatia are being each day more ecologically concerned. Few marinas have ‘Blue flag’ as a label of marina purity. The biggest marina chain is Adriatic Croatia International Club, aka ACI Marinas. 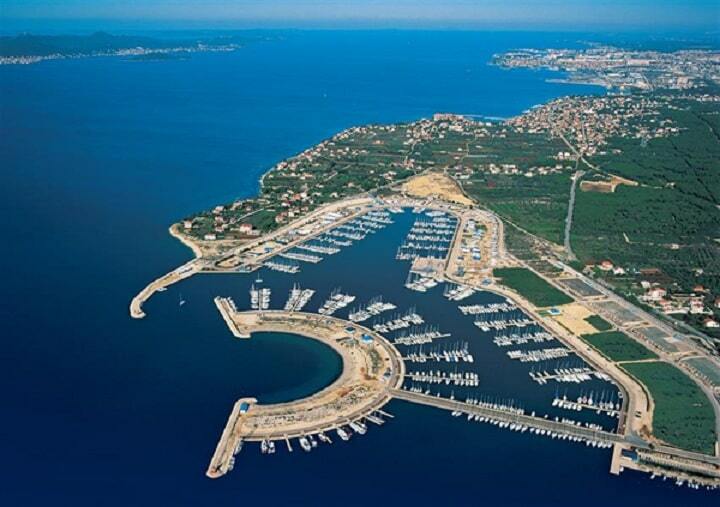 Their 22 marinas cover the whole coastal and island region of Croatia and are located in or near the city centre. They offer the safe port for clients so they can easily relax on the mainland, have dinner or buy things they need to continue their sailing vacation. Except the restaurant, ATM, exchange office and toilet, ACI marinas follow trends, so in some of them, you can find Smart Bench for your smartphones, wellness, pools, laundry services and rent-a-bike/ car services. Your place in the marina you can book online or via ACI application and pay with the credit card. For their loyal clients, ACI marinas offer different advantages, for example for 3 or more boats and favourable week prices for few ACI Marinas along the Adriatic. Novelty in the offer is also the possibility of accommodation in apartments and ACI magazine which can be downloaded in marinas or in digital form. ACI Marinas do not have a unique price list, which means that the price of the marina depends on the location, season and length of the vessel. The highest prices are in popular marinas such as Split, Palmižana and Dubrovnik, during the summer season, ie during June, July and August. For example, in the heart of the 2018 season, the daily berth for the 10-12m (32-38 ft) long sailing yacht in Split was 90-115 EUR per day, while in the ACI marina on Rab at the same time and with the same size of the boat 65-80 EUR. You can download the exact price list on the ACI marina pages. The biggest private marina is located in Istra and Kvarner area – Marina Punat. It is located on the island of Krk and has 900 sea and 500 dry buoys. Apart from the standard content such as currency exchange, ATMs, toilets and shops, in Marina Punat you can spend the night in a luxury four-star hotel or repair your boat at top service. Marina Punat is a multiple winner of the Blue Flag award, which marks the purity and several times has been proclaimed the best marina in Croatia. You will have special benefits as Marina Club Card owner which rewards your loyalty and provides discounts in the restaurant, hotel and grocery store in the marina. The price of a daily berth in 2018 for a 10-12m boat is from 50 to 60 EUR, and for a boat of length 14 to 16m you will pay from 60 to 80 EUR. The detailed price list is on the Marina Punat website. In comparison, Marina Admiral in Opatija, which has 160 berths and doesn’t offer more than Marina Punat, and has higher prices, means that smaller marinas are not always cheaper. In Marina Admiral daily berth for a 10 – 12m boat you will pay 64 to 77 EUR, and for 14-16m boat, you will pay 85-110 EUR. Private marinas in the middle Adriatic region are located in an excellent geographic position whether you want to sail to the north or south of the Adriatic. 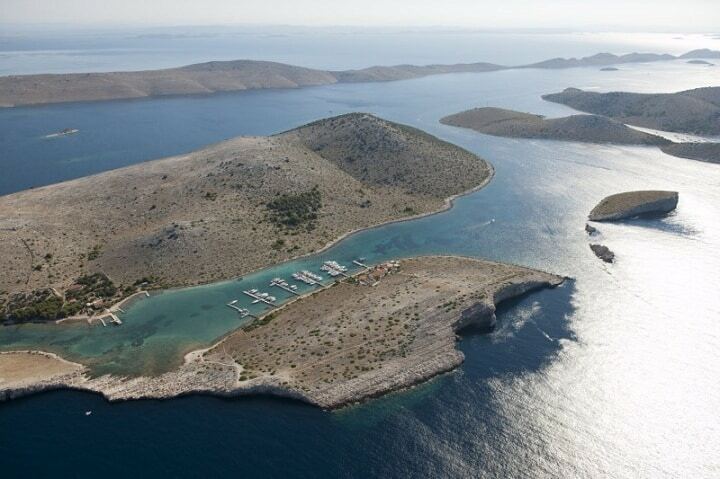 The vicinity of the Kornati Archipelago is also very popular among sailors. In the middle Adriatic, there is the largest marina in Croatia, which is D-Marin in Sukošan. D-Marin has a capacity of 1200 vessels and can accommodate boats up to 80m in length. In addition to the modern marine infrastructure, you can also enjoy the excellent restaurants, beach bars and other facilities in the marina. The daily rental price is equal throughout the year and amounts from 66 to 80 EUR for vessels of 10 to 12m in length, and 93 to 100 EUR for vessels of 14 to 16m. You can also find a detailed price list on their website. For comparison, we have researched the offer of Marine Hramina located on the island of Murter. There are 370 berths, hotel with breakfast included and quality and reliable service. Prices of daily connections in summer season 2018 for vessels of 10 to 12 m are from 51 to 70 EUR, and for boats with length from 14 to 16m the price is from 83 to 103 EUR. In this case, the smaller marina is a bit cheaper, but it is located on the island of Murter, while D-Marin has the advantage of being close to a larger town (Zadar). There are no many marinas in the southern part of the Adriatic. Marina Kaštela is close to Split and it has the capacity for 420 boats. Except standard, Marina Kaštela has wellness & spa centre that would be great for relaxation and enjoyment in the heated indoor pool. The daily berth prices for 10 to 12m sailboats are 58 to 70 euros, and for vessels of 14 to 16m from 80 to 105 euros, and include the use of storage during the stay in the marina. Marina Kaštela is a bit cheaper than ACI Marine in Split because of its location. The ACI Marina is located near the city center, while Marina Kaštela is located not far from the center of Split. 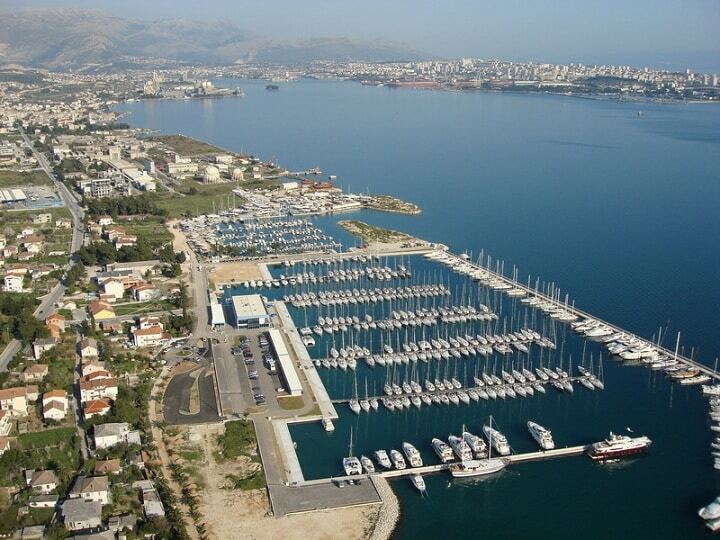 The above mentioned is the price of ACI marinas in Split (90-115 EUR for a boat of 10-12m). Expensive or cheap – it mostly depends on you. But, the fact is that during your sailing time you must count on this cost. During one sailing week, it’s necessary to make at least 3 stop-bys in order to fill your boat with water or power. Marinas in Croatia constantly depend on season, marina location or the size of the boat. Like in all, the price and quality should be in the best proportion. Before planning your vacation you should definitely think about the type of vacation you would like to have. Whether you want pure sailing or the combination of sailing and exploring coastal places, you will be satisfied with the offer Croatia has. The only thing that matters is to plan well your vacation. If you want to spare your time and money, leave your plans to us.